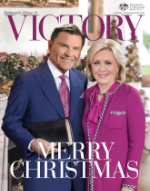 When you contact Kenneth Copeland Ministries through any mechanism, including but not limited to phone calls, emails, and internet usage, we may request certain personal information or use certain personal information that you submit to provide the ministry, services or products you have requested, to analyze the characteristics of our visitors and to improve our online ministry. Personal information is data that can be used to uniquely identify or contact a single person. This may include identification and contact information, as well as transactions and past experiences with KCM. Examples where such information may be requested include: subscriptions, prayer needs, online community registration and participation, registration forms or other forms containing your name, address, telephone number, e-mail address, and past transactions you have had with us. We gather web server file information automatically such as your IP address, browser type and operating system. We use this information to administer our website, to understand how visitors navigate our website, to enhance your web viewing experience, and to measure the number of visits, average time spent, pages viewed, and other statistics about visitors coming to our website in general. We may also use this data to monitor website performance and to make the website easier and more convenient to use. In some of our email messages, website content and online communities, we utilize a “click-through URL” linked to content on our website. When you click on one of these URLs, you will pass through a separate web server before arriving at the destination page on our website. We may track this click-through data to help us determine interest in particular topics on our website. If you prefer not to be tracked in this way, you should not click text or graphic links in the email messages. This tracking method enables us to send email messages in a format you can read, and they tell us whether mail has been opened. We may use this information to reduce or eliminate messages sent to visitors to our website that have signed up for emails. We do not otherwise sell or rent your personal identifying information to third parties. We may share your information to provide the product or service you have requested or when you have provided prior consent to do so. We may also provide your personal identifying information to companies that provide services to help us with our ministry activities such as administration of prayer requests, fulfillment of ministry products or offering customer service. These third-parties are authorized to use your personal identifying information only as necessary to provide these services to us. We may also disclose your personal identifying information as required by law such as to comply with a subpoena or similar legal process. To the extent that we are legally permitted to do so, we will take reasonable steps to notify you in the event that we are required to provide your personal information to third parties as part of a legal process. We may also disclose your personal identifying information when we believe in good faith that it is necessary to protect our rights, protect your safety or the safety of others. KCM restricts access to your personal information to only those employees who have reasonable need to come into contact with that information to provide products or services to you. KCM will maintain physical, electronic and procedural safeguards to protect personal information we obtain about you. Because laws and regulations on the collection, protection and use of personal information may vary between countries, KCM will not share personal information if doing so requires that such information be sent to a third person or country that does not have an adequate protection system in place. KCM will make every effort to ensure that the privacy and other rights of children are not compromised. We will not knowingly collect personal information from children under the age of thirteen (13). If we learn that we have collected the personal information of a child under the age of thirteen (13) we will take steps to delete the information as soon as possible. KCM uses secure socket layer (SSL) encryption to protect the transmission of information when submitting online contributions or product orders through our shopping cart. However, if you send us e-mail, you should know that there is no encryption to protect the transmission of that information and that it is not secured against interception.